Pfc. John O. Goodknight, son of Mr. and Mrs. A. V. Goodnight, graduated from Chattanooga High School; husband of the former Lula Harris. Entered Army in July, 1942, trained in Camp Gruber, Oklahoma., Camp Swift, Texas, and Ft. Leonard Wood, Mo. 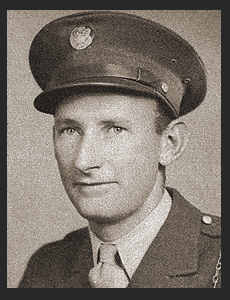 ; went overseas in April, 1944; was killed in action in July, 1944 in Burma. Awarded the Purple Heart.